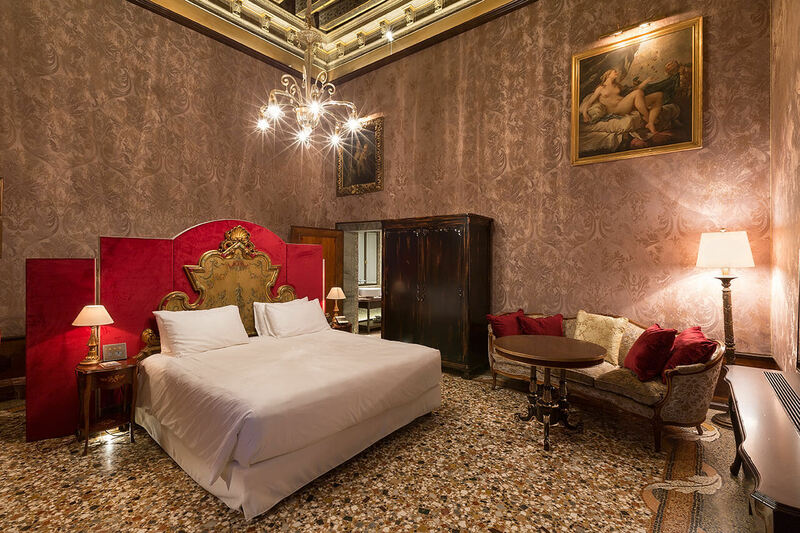 The Palazzo Venart Luxury Hotel in Venice has one Luxury Suite Grand Canal Open Plan room available for guests, which offers a spectacular view over the Grand Canal. The Luxury Suite Grand Canal Open Plan room is individually designed with 41sqm in space and high ceilings with decorate beams. This room incorporates a king sized bed and sumptuous marble bathroom, including a separate bath and shower. Complementing the exquisite furnishing are luxury toiletries, minibar and complimentary mineral water at turndown, international satellite TV and Wi-Fi. For direct bookings of a Luxury Suite Grand Canal Open Plan (with a minimum stay 2 nights) we include in the room rate VIP (Venart Important Person) treatment consisting of airport transfer (2 ways) and a bespoke 1 hour guided tour.